There is currently a great inventory of homes for sale in Spanaway Washington. located in the Pierce County region where the real estate provides residents with beautiful alpine scenery and saltwater shores. 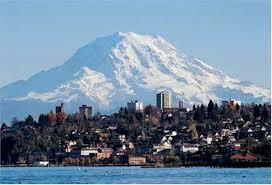 The county covers 1,806 square miles between inner Puget Sound and the Cascade Mountain Range. Some of the most livable small and mid-sized city home markets are in the area due to the strong regional economy. The high demand for homes that has resulted from the continuing growth has given way to many attractive new home neighborhoods. However, most of the communities, including Spanaway (and adjoining Midland) still have affordable real estate to offer those looking for homes for sale. Whether you are looking for Spanaway homes for sale or just searching Pierce County real estate for foreclosures and short sales, the tools at our site will help you find what you are looking for. Whether you are new to the area or a significant local property investor, our team of experienced realtors can help you get the most from your property purchase. Our agents will provide you with expert real estate service using powerful search tools that will give you fast access to all listed homes for sale in and around Spanaway. Their years of experience will give you the advantage of specialty listings to help narrow your focus when you are browsing hundreds of similar listings in Spanaway to help you choose the right house for your needs. To get answers to your questions or to start your search for Spanaway homes for sale, Simply search this site!